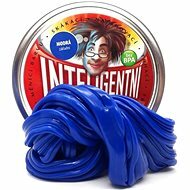 Intelligent plasticine with unique features, perfect for relaxation or as a crazy toy for the office and household. It comes in a two-piece metal box containing about 80 grams of the plasticine. 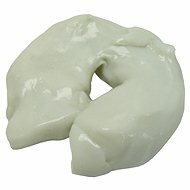 The plasticine is very viscous and can be formed by using its own weight. It is also very flexible, bounces like a ball and can even be torn or shattered. 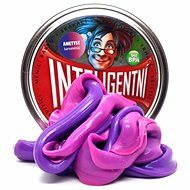 For shipping to other EU countries visit this page Intelligent Plasticine - Purple (basic). Chcete doručit zboží do Česka? 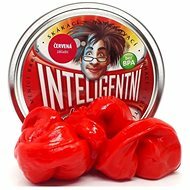 Prohlédněte si Inteligentní plastelína - Fialová (základní). Chcete doručiť tovar na Slovensko? 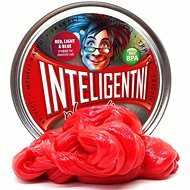 Prezrite si Inteligentná plastelína – Fialová (základná). Für Versand nach Österreich, besuchen Sie bitte Intelligente Knetmasse - Lila (Basis).